Internship program is the pre-requisite for the graduation in B.Com (Hon’s). It is an opportunity to have practical exposure to the corporate culture and activities through this program. Classroom discussion alone cannot make a student capable to handle the real business operation. Internship program make the bridge between the theoretical and practical knowledge. The report contains my practical observation and experience in Giant Group. The report is prepared on the basis of three months practical experience at Giant Group. Giant Group has lots of sections like: Merchandising, Commercial Merchandising, Marketing, Quality Control, Audit Department and so on. This report has been presented based on observation from each section, and focused on merchandiser activities. Base on merchandiser buyer collecting ability garments companies are surviving. To present the report, the whole report is been divided into four parts. The first part contains Introduction. In second part is the discussion about the Organizational part. In third part is the discussion about the Learning part. In the last part is the discussion about Findings, Recommendation, Conclusion, References, and Appendix. Bangladesh, one of the archetypal LDCs, has also been following the same route for the last 25 years. Once derided as a “basket-case” by Henry Kissinger (The Economist, 1996), the country stumbled across an economic opportunity in the late 1970s. New rules had come to govern the international trade in textiles and apparel, allowing low-cost suppliers to gain a foothold in American and European markets. Assisted by foreign partners, and largely unaided by the government, entrepreneurs seized the opportunity and exploited it to the fullest. Over a period of 25 years, the garments export sector has grown into a $6 billion industry that employs over a million people. In the process, it has boosted the overall economic growth of the country and raised the viability of other export-oriented. This essay analyzes the processes by which global trading rules came to help out a poor country like Bangladesh. It demonstrates the impact of the rule changes on the garments sector, and the response of the sector to multiple challenges and obstacles. It also discusses what steps Bangladesh should take in order to deal with the full liberalization of the international garments trade, which occurred in January 2008 and which could potentially threaten the country’s growth prospects. Internship for three months in private business organizations, government offices, Public Sector Corporation or banks or other financial institutions is an integral part of the B.Com (Hon’s) program of the business faculty of the Daffodil International University. The objective of the program is to expose the students in the organization work situation. Each student is required to undergo the program and prepare a report according to a format specified by the supervision teacher. As a regular student of Department of Commerce B.Com(Hon’s) program, it requires an internship of three month attachment with an organization followed by writing and submission of a report. This report is an end result of an Internship attachment with one of the top graded Export Oriented Composite Garments in Bangladesh the Giant Group. As per the advice and recommendations of the honorable supervisor Masud Ibne Rahman, the main concentration of the report is Garment Industry of Bangladesh with particular reference to Merchandizing. This report focuses on merchandizing activities in Giant Group. This report will obviously increase the existing idea of merchandizing activities rendered by the Giant Group. To study the overall merchandising activities of Giant Group. To identify some problems/limitations of the merchandising activities of Giant Group. To propose some recommendation for the existing problems of Giant Group. To gather knowledge on overall merchandising activities of the garment sector of the country. To place a SWOT analysis of the merchandising activities of Giant Group. The methodology of the internship report is described in the following paragraphs. Research Type: As mentioned earlier that the internship report is based on a garment named Gaint Group and was trying to discuss something new through this report, which had been observed practically. This report is an exploratory type of research. Both primary and secondary data have been collected. Merchandising report on Giant Group. Conversation, exchange of ideas & views of senior merchandiser. Face to face conversation with buyer. Related files, books study provided by the officers concerned. The entire set of individuals or objective of interest of the measurement obtained from all individuals or object of interests. According to the theory the population of the report is all the officers of merchandising department of Giant Group were the population of the study. Sampling is a portion or part of population of interest. Following the definition, a total of 40, 3 officers were selected as the sample. They are Mr. Anisur Rahman, Mr. Faisal Ahmed and Mr. Noor Mohammad who are the merchandiser of the company. Sampling technique: Non-probability convenience sampling method has been used to select sample. As an experience of three months the observation and direct interview method, sometimes they have provided data verbally and those data was been collected. Data were taken from both internal and external sources. Primary data were collected through face to face interview. Data analysis has accomplished by the help of MS word and qualitative method. Personal biasness of the merchandiser at the time of collecting primary data. Accuracy of the secondary data depends upon the accuracy of the secondary source as cross checking was not possible. Due to confidentiality the garment’s policy restricts disclosing some important data. Giant Group always gives the priority and supply best quality knitting product. This factory has the latest state of the art technologies and as a result, the factory will have the capacity of producing large volume of knitting product maintaining optimum quality. The factory will be situated at nearby Dhaka EPZ .It will be a 80% export oriented knitting manufacturing company. Every year large volume of knitting product will be exported to different countries like Europe, America, Canada, Australia, United Kingdom, Germany, France and other countries. There are several sections in this factory such as knitting, dyeing, cutting, swing, finishing section. Giant Group is committed to provide quality products and smooth finishing. All the machineries and accessories will be imported from Korea, Turkey, and Japan. The factory will be run highly trained and skilled manpower, which will be very much capable to keep continuing the production process with utmost accuracy and flawless finishing and as a result, the company will be able to guarantee uninterrupted production and timely supply of product as per schedule and time frame of buyers. Manufacturing of knitting product is being carried out in a five stored building with a floor space 60,000 square feet. Our employees are specialized in the production of all types of knitting product. We will manufacture T-Shirt, Polo-Shirt, and Tang-Top, Jacket for children, men and women. The production units will have its own high powered generator that will be used as back-up source of electricity. A wide array of indoor and outdoor facilities along with safety measures will be one of the prominent features, which make the factory pretty good suitable environment for knitting manufacturing, and will give more exceptional and diversified characteristics over its king among the knitting industries. We see business as a means to the wellbeing of the buyer’s, investors, employees and the society at large, leading to accretion of wealth through financial and moral gains as a part of the process of the human civilization. Our mission is to provide quality & innovative garments for buyers, maintain stringently ethical standard in business operation. 2. Address : House # 64, Road # 17, Block-C, Banani, Dhaka. 3. Company Mission : “To earn fair profit through exports”. 4. Company Vision : “Innovation new style and fashion”. 5. Type of business : Manufacturing garments for exports. 6. Business Registration No. : 78001319 Dt. 28.05.2005. 7. Date of establishment : 1st June 2005. 8. Banker : Eastern Bank Ltd.
10. Product Capacity : 7.20 Million garments per year. 11. Categories : Men’s, Ladies, and Children. 14. Nos. of employee/worker : Staff-41, worker-475. The Managing Director, the CEO is the head of the Executive Management Team which comprises senior members of the Management Apparatus. Within the limits of delegated authority and responsibility by the Board of Directors, Executive Management operates through further delegation of authority at every echelon of the line management. The executive Management operates within the framework of Policy & Planning strategies set by the Top Management with periodic performance reporting for guidance. The Executive Management is responsible for preparation of segment plans / sub – segment plans for every profit centers with budgetary targets for every items of goods & services and are held accountable for deficiencies, with appreciation for outstanding and exceptional performances. These operations are continuously carried out by the Executive Management through series of Committees, sub – Committees, Committees & standing Committees assisting the line management. • Performance Evaluation Audit Committee. Comprising top executives, deal with entire organizational matters. There are three shifts per day in Giant Group. So each shift contain eight hour. But there is another shift called general shift, which is applicable for some officers. The target market for products produced in Giant Group. Giant Group Export Oriented Readymade Garments Industry. Readymade Garments exporter that is Knit Fabrics manufacturer. Target market for products produced in Giant Group is Europe and U.S.A. Giant Group sells their product in France, Canada, USA, Italy, Germany & other countries . The above figures show that the export sales increased by 19% in 2007over the previous year with greater exposure to international market scenario and risk. The “Merchandising” is known to the persons specially involved in garments trade. The term merchandising has been derived from the word merchandise. Merchandise means goods that are bought and sold. The term Merchandising may be defined as: Person who merchandises the goods, specifically for export purpose. Garments merchandising means buying raw materials and accessories, producing garments, maintaining required quality level and exporting the garments within schedule time. From the above definition, we can say that a person involved in garments merchandising needs a wide range of knowledge and skill to perform his job successfully. The job itself is Technical and general as well. Always work smartly and hardly. Be very good time manager. Take pride on their work and not on their position. Be able to adopt to change. MS-Excel (This is a key element in making a efficient merchandiser). Filling (Systematically all should follow on filling system, Do all trim & swatch cards). Come to office to work, leave when you are done. Should not hanger around till late for some other person. Meet suppliers with prior notice. Do not ‘Procrastinate’ any tasks. Meeting to held at planned times. This is the key, if anyone can dandle this application efficiently, they can do a days job in one hour. Should be neat & systematical, so that any file could be referred easily during his or her absence. Should omit the use of folders, everything should be filed. Factory files should be prepared very clearly. Trim & swatch cards should be very clear with all information and passed to relevant departments on time. Costing for injuries: We must make sure that we give a price to a customer within 48 hours after receipt of all details. Pre-costing on orders: This could be final costing on an order, once it’s confirmed. Post-costing: This is very important, to see whether the order is profitable or not. Costing responsibility will be on the merchandiser: In most cases the cost-sheet will be approved by finance department. Better communication will lead us to understand our customers much better and give them in return what they really expect. The sample Flow of an order should be followed by the merchandiser and he/she is totally responsible for it. Once again, you should stick to the T&A to make sure the samples are approvrd on the given time frame. Make proactive decisions if something is going wrong. All sample comments has to be read by the merchant and should be discussed with the sample room in charge before passing a copy. On this you have to work as a team, than passing the ball, since you know order well than a sample room. Possible date to arrival of fabrics and accessories in the garments factory. All the main functions, mentioned above are important but the procurement of fabric and accessories are most important as because there are many technical parameters involved in specification in this area. Confirming order directly to factory: In this way buyer confirm order directly to a factory. At first buyer send an order to merchandising department of a factory. After getting an order a merchandiser sets a price and sends it to the buyer. After meet the price buyer send it to the merchandising department and send a LC and other documents to the commercial department of the factory. Confirming order to factory by an agent: In this way buyer confirm order to a factory by an agent. At first buyer send a order to merchandising department of a buying office. After getting an order they send the order to the factory. Will do the time & action control. Will distribute all relevant details and information to all other departments. Will co-ordinate with the sample room and QA’s to ensure smooth execution of the order. Should always update all departments with information updates from the buyer. Should update the customer on the orders. Raw material ordering and follow-up. Booking, production planning & shipment planning of all orders. Finding sub-contracts early if and order needed to sub-contract & has the factory ready with sample approval. Monitoring daily production against planned targets and highlight if cannot meet delivery deadlines. Following up on top samples, production, cartoon samples, etc…,since we are to ship the order on time. Will push all departments to start the order as planned. Will fill and send all following charts to customers, local officers, and other departments on daily/weekly/monthly basis as requested. Daily/weekly production reports off all orders. Shipment schedules-plan for all orders. Booking summaries and order summary sheets. They will get all information from merchandising & commercial departments. Production development manager and the merchandising manager will work together on all planning of samples for customers. Planning manager and production manager will also join if necessary. Will plan according to the sample request sheet from the merchant. They will have a record in a master file for all customers on the sample customers/approval from fit to PP and maintain their own chart for easy reference. They will directly complain to the management, if they are unable to do a sample on time, due to unavailability of materials/information. The sample room plan and problems will be reviewed in the production meeting. They could get the help of support services for washing, fabrics problems etc. They will also sit with the QA managers and have the PP meeting before an order is cut. Consumptions for inquiries and orders. They will maintain all samples with tagged from fit to PP for all orders running. It’s better if they could maintain a log book for all samples. Shade brands / Color approvals. They will also help the sample room to procure fabric / trims for development samples if necessary. This department will handle the quality and report on the production to the office on all orders. The QA teams will be allocating customer wishes; hence they will handle the order from the fit approval stage, so that they will know better once it’s in production. QA managers will work closely with the support services during production to control washing, fabric problem, etc. QA managers are responsible for T&A control too. They will have to report issues to the management, if the T&A dates are not hit and discuss same at the production meetings, such as-on production samples, washing approval, shade band approval, delay in cutting dates, delivery, etc. QA department will open their own file base on the T&A and start following-up on the orders and than get the relevant information / details from merchant to complete the file before the cutting date. Will have their PP meeting with the factory staff before cutting of any order. Sick room, first-aid, and maintaining of in-house accident register. Code of conduct and other disciplinary action. Monitoring and recording of daily attendance, leaves, etc. Monitoring the direct: indirect ratio. Will analyze the total expenses of the operations. Prepare and work on a budget. Should analyze the monthly expenses of each factory against exports (earnings), in order to determine the CM cost each factory should work on. Should control material and costs, such as permitting to order only on management approval p/o. Salesman samples, Counter samples, Approval samples, Photo samples, Pre-production samples, Production samples, shipping samples. Swatch and Trims, Trims related affairs, Communication in international business. The artwork (styling) done by designer and developer. Any revision to the style works. The first physical version of any garment as per artwork done by designer and developer. Purpose : See the design work and test the fitting. Usually designer or developer always asks for some changes to the first pattern. Second pattern is made as per comments. Where first pattern is made on designers artwork, counter sample is to make not on designer’s artwork, has to follow another sample given by the merchandiser. Samples are made with actual color and material to be worn by the models on the event of shooting for catalog. Approval sample: In any discrete period of time, whenever it required any revision in the sample, a new sample is made (some times mock-up is workable too) as per new specification. It is sent to buyer for his approval of the conformity that the revision is done correctly. Consists of one pc from each size for each color combination. When material for bulk production arrived, factory makes a sample with the actual material and send to buyer. It is a reference to the buyer that the bulk is being produced as per specifications Buyer wants to be assured that correct material is sourced and line workmanship conformed to the quality level. A sample is kept from every pre shipping inspection to be referred, if required, after the order had been delivered. Usually for any disputes (e.g. claim) shipping samples is important. Swatch is a presentation of all the material is (Fabric and Accessories) used for any specific style order. Usually small piece of fabric and each piece of accessories are attached in board paper in a systematic manner. Swatch is very important for production line to make the correct construction of a garment and QC department ensures it. Concerned merchandiser should confirm approve the swatch. Trims cover all the items used in the garment expects the basic fabric. There are hundreds of items used to manufacture the garments. Proper selection of trims and its quality are very important for styling; otherwise the garment may be rejected or returned by the customer. Tensile strength, Elasticity, Shrinkage, Moisture Regain, abrasion, Resistance etc. 30s, 60s, 20s/2, 40s/9 etc. 3. Labels : Main, Size, Care, Content, price, patch etc. 4. Button : Horn, Metal etc. 5. Elastic : Cotton, Polyester etc. 6. Eyelet : Antique Matching etc. 8. String/Cord : Cotton, Polyester etc. Here every thing’s are given which are required to produce the product. Basically merchandiser gets idea about the garment style. After getting the sheet merchandiser study himself to be sure weather he can make it or not. If he able to do than send a massage to buyer. Here merchandiser includes all items and raw materials cost which are required to make the product. Then merchandiser sent it to buyer. If price adjust with buyer then buyer order to make sample. After getting the sample buyer compare with their requirement if everything matches with them then buyer places the order. PI has opened against PO. Here describe color details also have to open LC base on PI. Meanwhile merchandiser has to complete lab dip and also get accessories approval. Lab Dip is process. Through this process identify the chemicals used to produce the fabric. If it is not exam than fabric color may differ and there has also possibility to reject the order. That’s why it is essential to do. After that merchandiser order the factory to produce the fabric and make fabric swatch send to buyer. Here describe fabric color construction GSM (gross square meter) etc. Then buyer comment on it. Giant Group has skilled manpower. Giant Group has good reputation in RMG market. Most raw materials are produced in their own factory. Giant Group is not financially sound. Giant Group is not using modern technology in all sectors. Giant Group has not adequate branch out side of country. Giant Group does not have their own power supply capability. Giant Group Can increase their number of buyer. Giant Group has ability to expand their business . Employee’s problem: Most of the employees are unskilled. They have improper background and under- educated. For that they are not efficient to do their task. It increases the cost of production as well as more time needed to finish particular task. Insufficient Technology: They have used limited computer in office for their daily activities. Sometimes many officers have waited to use computer. Also speed is slowed than required. Small production unit: They can produce only 20,000 T-SHIRT per day for their small production unit. For that they need 60 days lead time to complete an order. It’s long time now days for competitive RMG market. Labor unrest: Sometimes labor unrest creates problems to export. Most of the employees are not happy for their wages, over time and other extra benefits. Also working environment is not enough friendly for their health. The Giant Group does not provide psychological security for their jobs. They will be there as long as their company wants them. The benefit offered by Giant Group is very little amount which is the main reason for employees high turnover. The top level management should not be concerned about the systematic compensation package. So most of employees are suffering in pay dissatisfaction. Employees should be trained up in needed area and should be hired from related background. Decision making problems can be decreased if decision making procedure is not lengthy and some person gets power to take decision quickly. Production unit should reduce the lead time of an order. For that company have to invest more money. Labor unrest will not occur if company give those good wages and do not pressurize to produce large quantities within short time. Use of Technology should be increased. If they use more computers, it will save time and they have to use high speed internet connection. The top level management of EVE should be concerned about the systematic compensation package. Which include salary, over time, bonus etc. 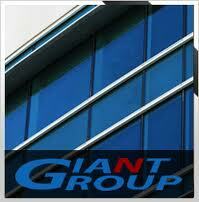 Giant Group is the largest private sector industrial conglomerate in Bangladesh. Giant Group has always given the highest value of its component contributing to the production, management, revenue where the human resources was considered as the prime factor. Giant Group knit division endlessly strives to achieve the best output, by developing and improving and properly utilizing its human capital. As a result it becomes one of the leading companies not only in Bangladesh but also in the subcontinent. Giant Group relentlessly pursues its vision of innovation, speed and service-driven marketing activities to the complete satisfaction of the customers. This marks phenomenal growth of business with all their leading and strategic customers. The company has also added a host of new customers to its profile this year. The company is also looking at new markets in South America in addition to increasing its share in the existing US, Europe and Canadian market. The company wants to sustain its position as a leader among the best-known brands and retailers worldwide. But there are some defects in customer service which is mentioned several times in the report earlier. So, the company should be more cautious and take necessary measures immediately in recovery the customer service. VALARRI ZEITHAML & VALARRI DITNER, Service Marketing, Fourth Edition.